Last week, Shikamaru was watching Diana Cavendish from Little Witch Academia! 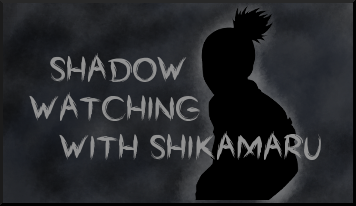 Last week, Shikamaru was watching Ren from Dramatical Murder! Last week, Shikamaru was watching Hibiki Ganaha from iDOLM@STER! Last week, Shikamaru was watching Sataka Gintoki from Gintama! Last week, Shikamaru was watching Meliodas from Nanatsu no Taizai! Last week, Shikamaru was watching Alphonse Elric from Fullmetal Alchemist! Last week, Shikamaru was watching L from Death Note! Last week, Shikamaru was watching Nico Yazawa from Love Live! Last week, Shikamaru was watching Tomoko Kuroki from Watamote! Last week, Shikamaru was watching Utena and Anthy from Revolutionary Girl Utena! Last week, Shikamaru was watching Chii from Chobits! Last week, Shikamaru was watching Vash the Stampede from Trigun!